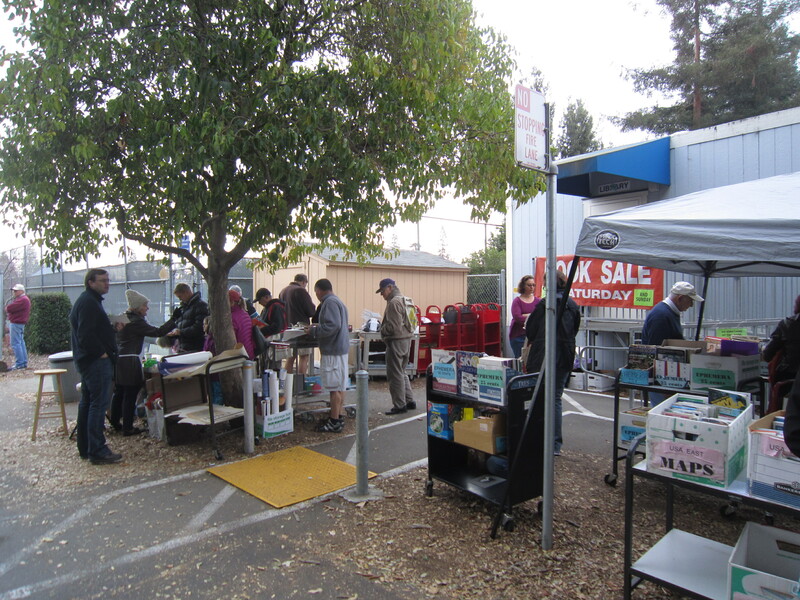 Every month on the second Saturday and Sunday, Friends of the Palo Alto Library holds a huge sale of more than 50,000 gently used and sometimes new books, CDs, DVDs, VHS, LPs, as well as framed art, puzzles and games, software, greeting cards, and collectibles. 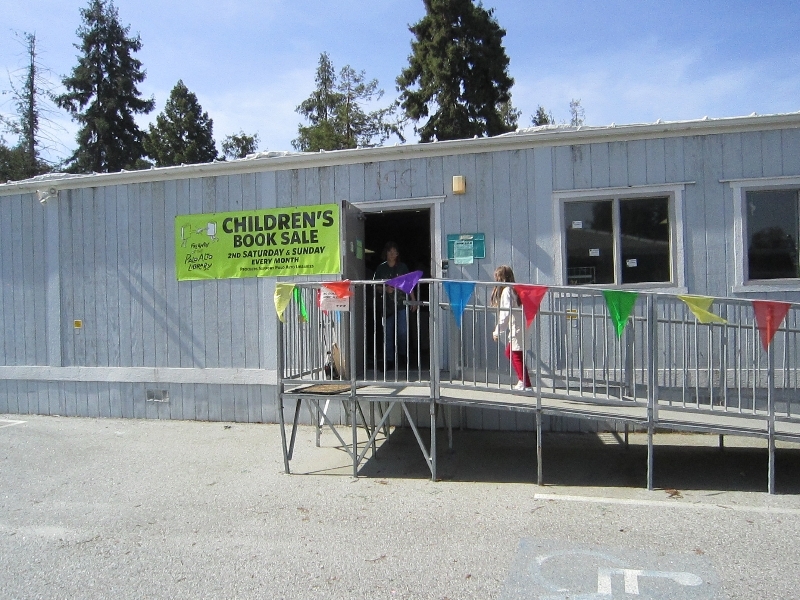 95% of items for sale are donated by individuals, estates, and companies in the community; a few are former library books. Everything is sorted and displayed by genre and subject for easy browsing. You’ll find our prices incredibly reasonable! To learn about special items featured in the upcoming sale, sign up to receive our Book Sale e-Newsletter. 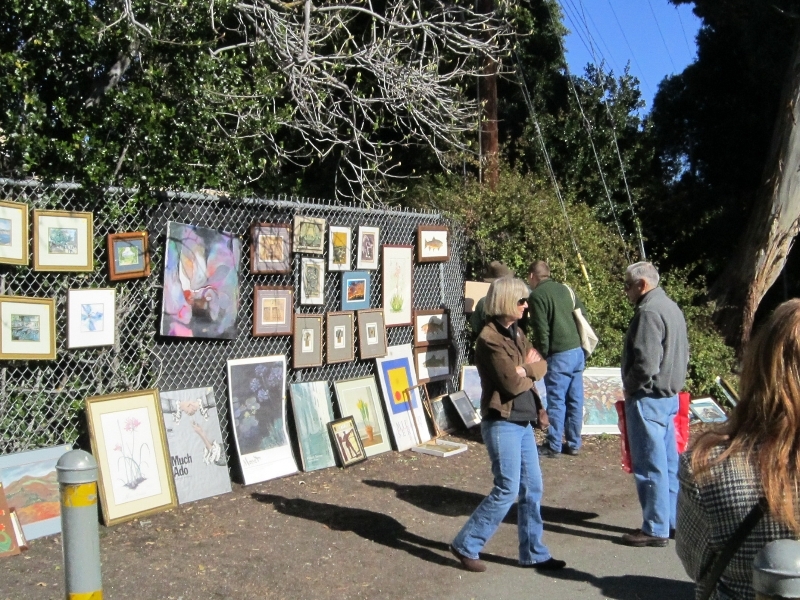 FOPAL’s sale is located in 3 ROOMS and 2 OUTDOOR VENUES at Cubberley Community Center, 4000 Middlefield Road, Palo Alto, CA 94303. Directions. Bargain Room – offers very inexpensive paperbacks and hardcovers in all genres, plus VHS, LPs and 45s, audiobooks on cassette, bargain children’s books, ex-library books. On Sundays all items are 50% off or $5/bag. 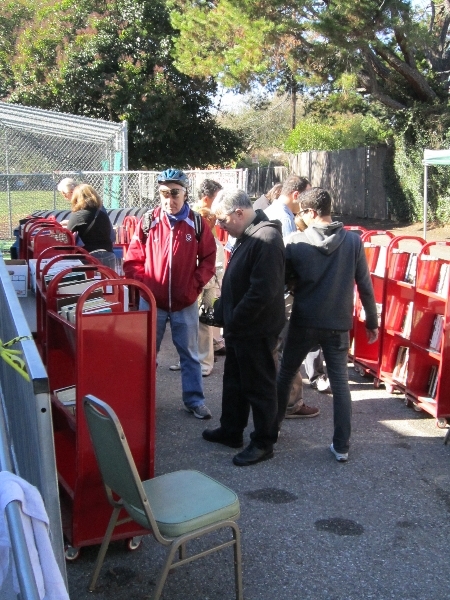 Tent Sale – look for the bright red carts offering hardcover books in many genres, all priced for ONE DOLLAR! Entry Tickets – Customers who want the best selection arrive early. There are lines to enter each room, but entry tickets are only required to enter the Main Room. The numbered entry tickets – only one ticket allowed per person – will be handed out beginning at 8 am. If you receive a ticket, the number on it reserves your corresponding place in the line, allowing you time to go off to get coffee or to visit the Children’s and Bargain Rooms. You do not need an entry ticket if you plan on arriving at the sale after 11am. Get In Line By 11am – Please be sure to return to the Main Room a few minutes before it opens at 11 am to reclaim your spot in the line. Customers will be admitted in the order of their numbered tickets. If you miss the time when your number is allowed to enter the Main Room, you will need to forfeit your place and join the end of the line. If you don’t arrive in time to get a ticket, please join the end of the line. 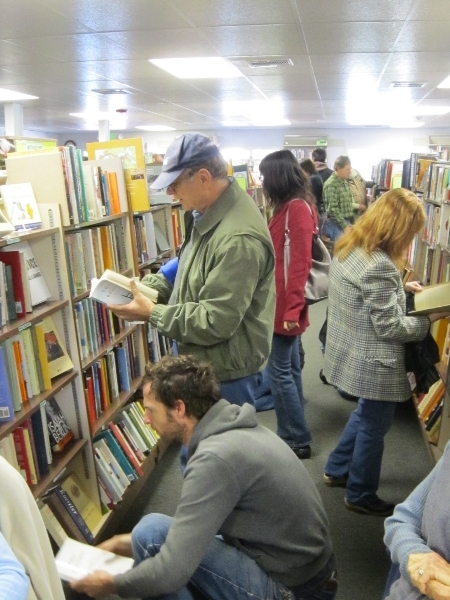 Twelve Book Limit – Due to health and safety regulations, no more than 160 customers at a time can be allowed into the Main Room. 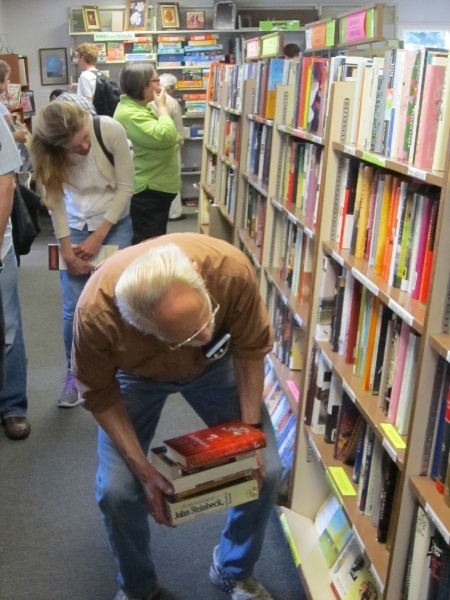 During the first hour or until the Sales Manager lifts the restriction, each customer may select no more than 12 books at a time, pay for the items in the cashier line, and exit through the east door. The customer may then join the end of any remaining line at the north/entry door and reenter in that order. 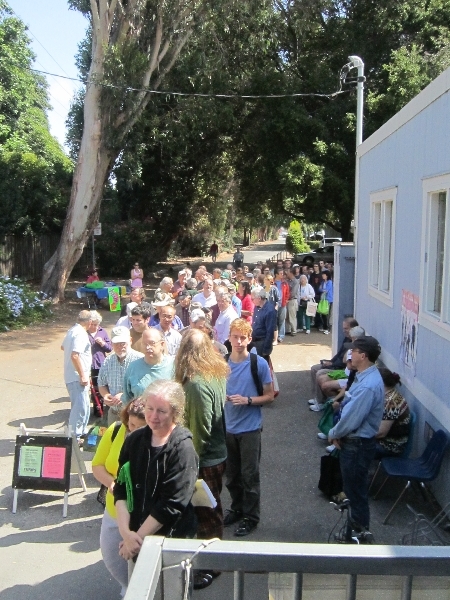 The limitation of 12 books at a time will continue past noon if a line remains outside. One Bag Limit – There is also a limit of one grocery-sized or one green FOPAL reusable bag per customer for carrying your book selections. We do not allow use of large “Costco” or “Ikea” sized bags, or boxes any kind, until any shopping limits are lifted. 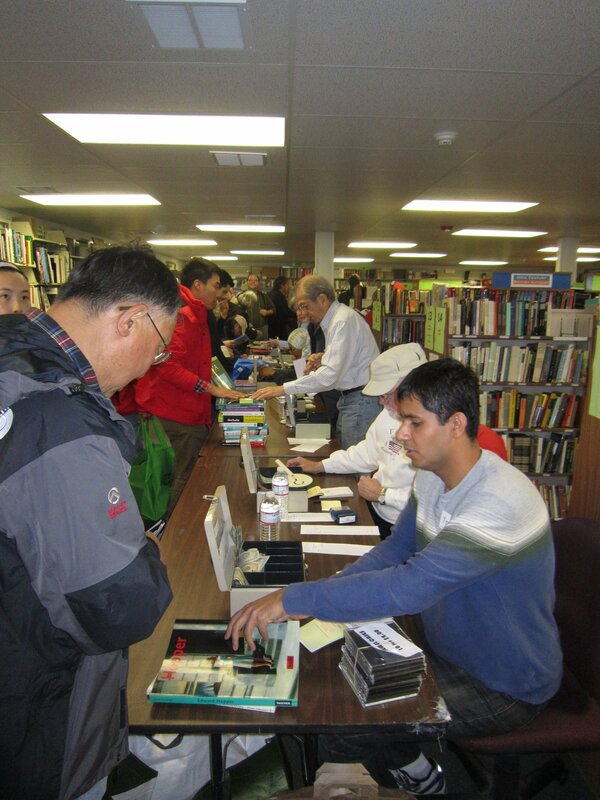 Note that both the Bargain Room and Children’s Room are open earlier than the Main Sale room on Saturday. No entry tickets are required. To avoid lines and crowds, we suggest browsing after noon on Saturday and Sunday. Customers can purchase gift certificates on the day of the sale from any cashier in any room. The certificates can be purchased in $5 denominations and can be used at any FOPAL sale or FOPAL branch-library bookstore. Due to our space limitations, we cannot accept donations during our monthly sales. 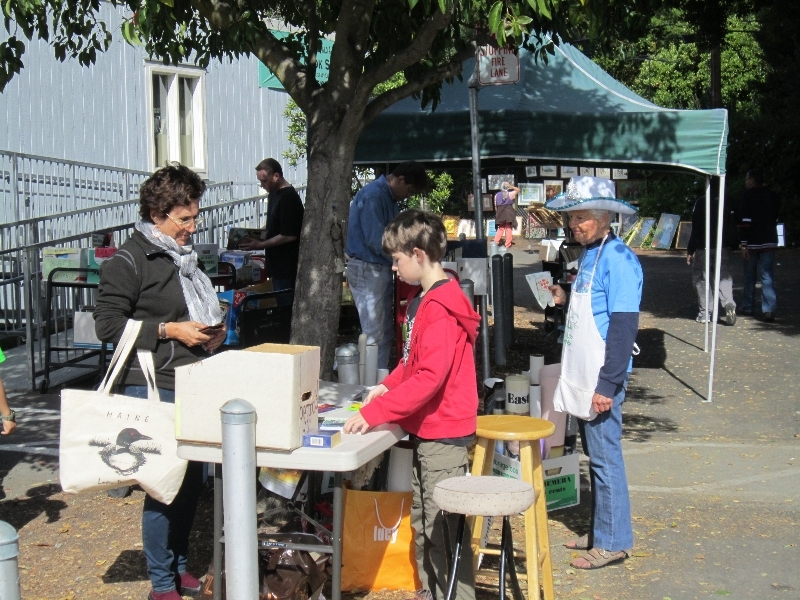 Please bring all donations to FOPAL’s Main Book Sale Room, 4000 Middlefield Road, Palo Alto, Monday – Saturday from 2-4 pm. 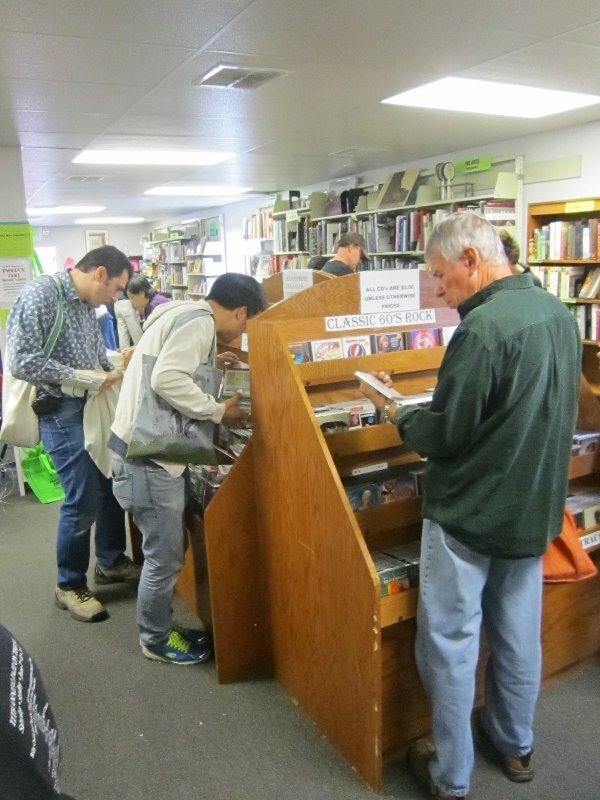 Twice a year, we hold a Members-Early sale, at which only current members of the Friends of the Palo Alto Library are admitted early to the Main Room sale. Click here for more information. 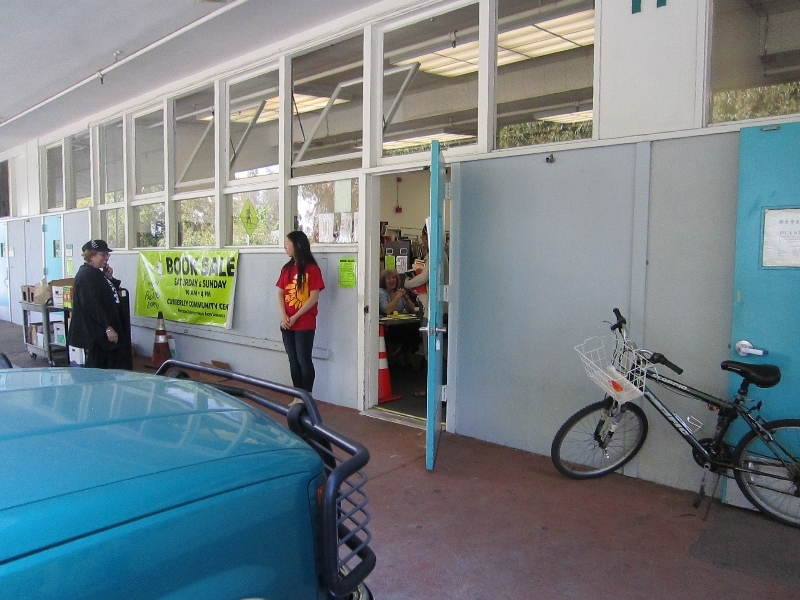 After each monthly sale, FOPAL gives away free books from the Bargain Room (H2/H3 in Cubberley Community Center). 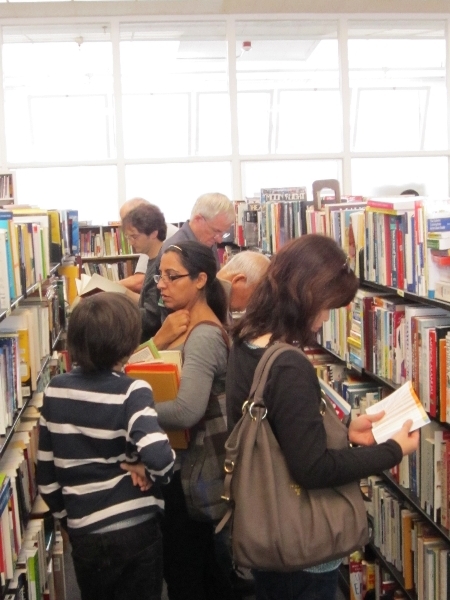 On Sunday between 4pm-6pm, teachers and nonprofits are invited to select books. 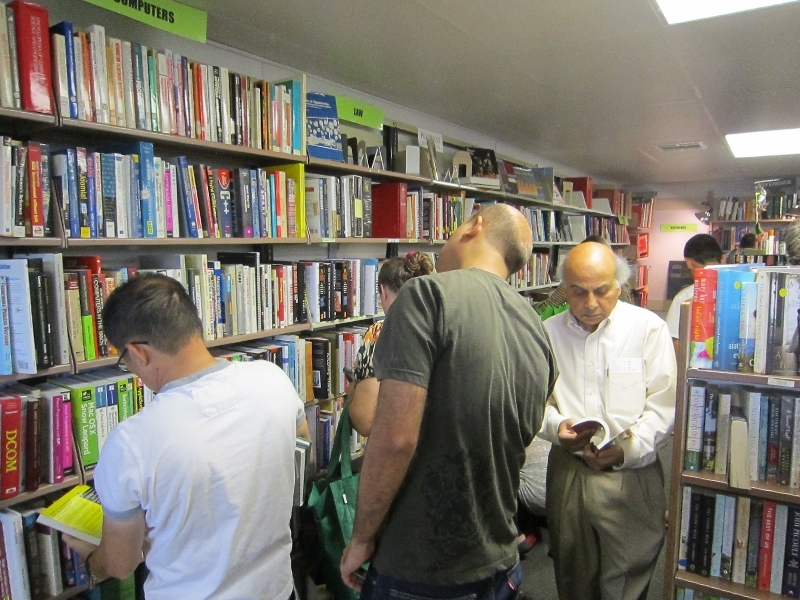 On Monday evenings anyone may come and take books. Be sure to bring your own bags and boxes. Click here for more information.